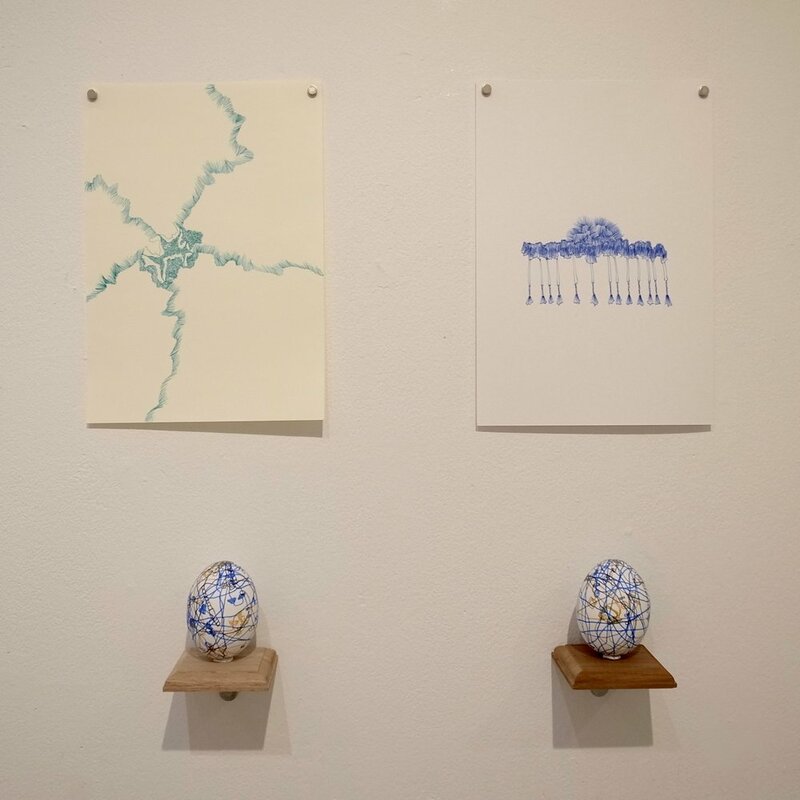 For “Everyday Circuits” at Gallery Camellia, Arthur Huang continues his exploration of everyday memories by expanding his Memory Walks Project in concept and materials. 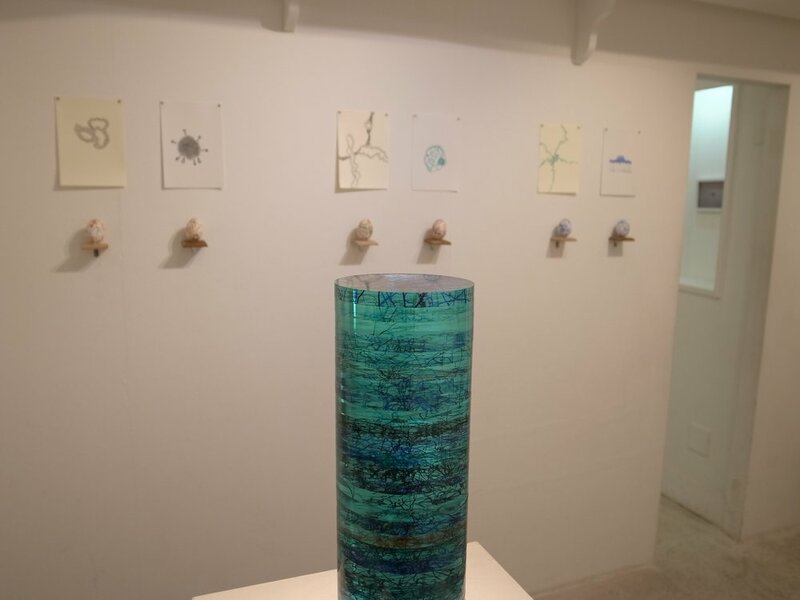 After his exhibition “My Everyday Life” at hasu no hana in December 2016, Huang started to think more about possible relationships between his Memory Walks Project (conscious memory) and his Daily Drawings Project (unconscious memory). To explore this idea, he created Memory Walks drawings for the ten days that he visited Gallery Camellia in 2016. After these drawings were made, he repeated the walks for each of the days using only the list of departure points. Immediately following each day of re-created walks, he made a second Memory Walks drawing to see how his memory of the day compared with this re-enactment of the walks. During these re-enactments, he also created Daily Drawings that are displayed with the Daily Drawings from the day of the original Gallery Camellia visit. This quartet of works for each day gives the artist and viewers an opportunity to contemplate connections between conscious and unconscious memory. At the same time, Huang explores new materials for his Memory Walks project. Instead of using the eggshell as a medium, he made his March 2017 Memory Walks drawings on thick, clear acrylic discs With each disc representing one day, they are stacked upon each other with the discs with the most memorable days on top. The transparency of the materials allows for the lines to not only criss-cross as they do on an eggshell, but also lie on top of each other within a day and within a month. 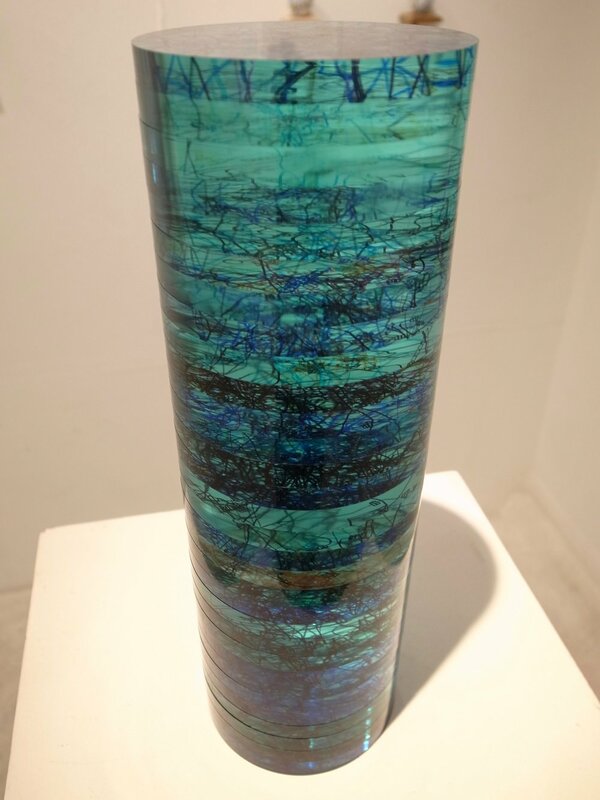 Arthur Huang uses the back room of Gallery Camellia to exhibit two new projects. The first project “Memories from the Sky” takes a new approach to remembering everyday memories. For this work, Huang photographed the sky at various points during his walks for each day in March 2017. Looking at the list of departure points for each day, he selected an image of the sky that represents his memory of that day. 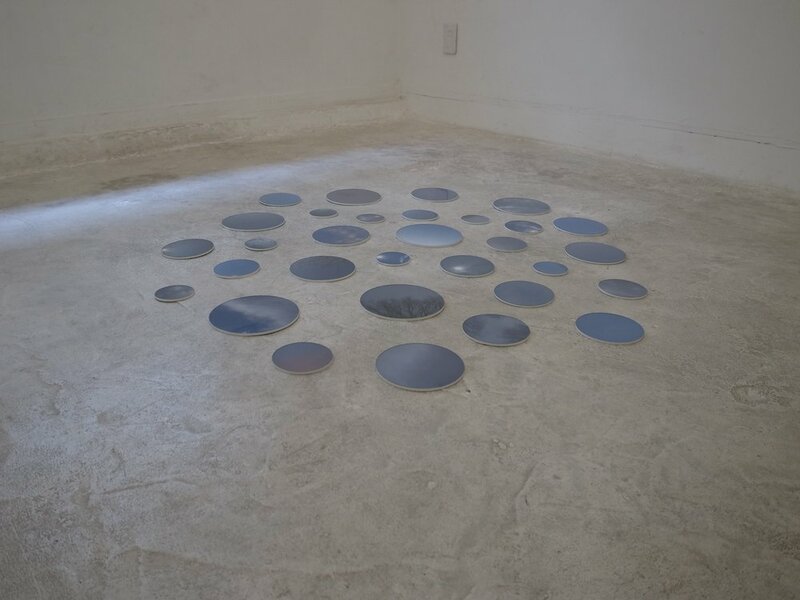 These images are mounted on acrylic discs of different diameters corresponding to the strength of the memories and feelings from each day and installed as a cluster on the floor of the back room. For the second project, Arthur collaborated with gallery director Naoko Harada to create a site-specific work that moves beyond his own personal memories. This new work addresses the history and memories embedded in the gallery space, Harada’s experiences of running Gallery Camellia, and Huang’s process of creating this exhibition. His repeated visits to Gallery Camellia in 2016 made him curious about the history of the gallery space along with its unique interior architecture. As a result, he made a number of visits to Gallery Camellia at the end of 2016 and in 2017 to document the different marks and spaces of the gallery during and between exhibitions. Huang and Harada discussed stories and memories associated with images that Huang documented in preparation for the exhibition. The resulting eight images in “Everyday Circuits” represent the history embedded in the space and attempt to transform the gallery space into its own living entity.